Another month, another post. I cannot believe how busy I’ve suddenly become. My brother is getting married early next year, so as honorary wedding coordinator I’ve found myself amidst the world of stunningly pretty things. Thank goodness for my time at Queensland Brides magazine which has prepared me more than I ever expected. 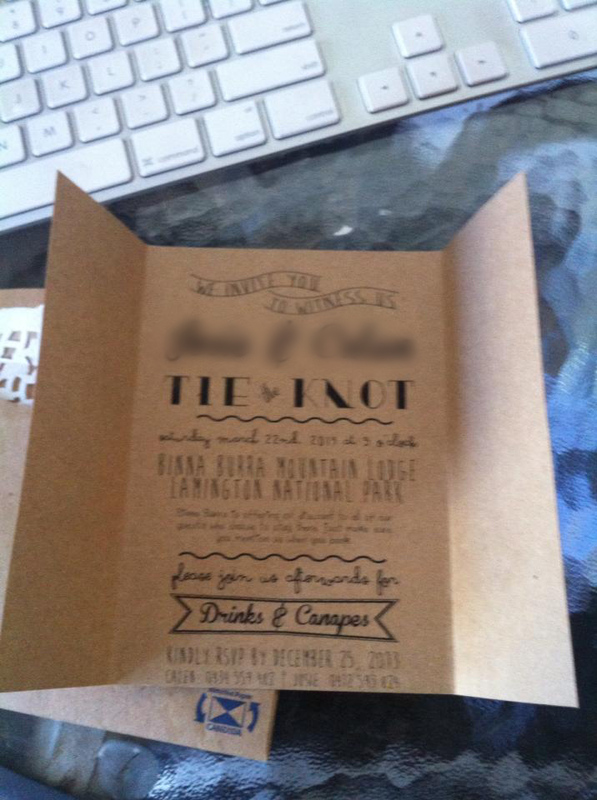 My first task has been to design (graphic design is one of my other skills) the invites. The back and forth exchange has been great to come up with something that both they and I are happy with. Today is the day we put the final touches on the invites and start getting them printed. Very exciting!